The Mankind Grooming Box: The Intergalactic Edition is a carefully curated assortment of luxury male grooming essentials. Explore the out of this world grooming products powering the Intergalactic Edition, including 6 luxury products for your every grooming need. Ideal for those wanting to discover the world of premium male grooming, this collection is an essential for those wanting to update their grooming routine. Worth over £229, it could be yours for just £69. 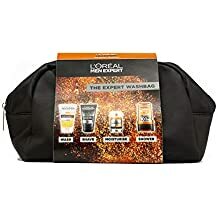 Find Gift sets from the Beauty department at Debenhams.com. Shop a wide range of Male grooming products and more at our online shop today.